For Gala and Ken-Ducky Derby Sponsors ONLY. Please contact Marla Moore at mmoore@hhlou.org for instructions on how to redeem your sponsor tickets. Sponsor tickets CANNOT be redeemed after Feb. 15th. For Gala and Ken-Ducky Derby Sponsors ONLY. Please contact Marla Moore at mmoore@hhlou.org for instructions on how to redeem your sponsor table. Table CANNOT be redeemed after Feb. 15th. I have read and agree to the Terms and Conditions and give my consent to Harbor House to process my personal data. I understand I can revoke this consent at any time. Do you have any food allergies or meal restrictions? 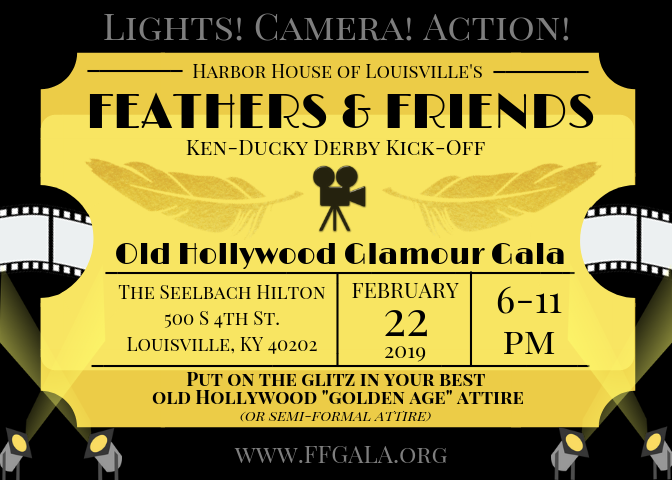 Feathers & Friends - the OFFICIAL Ken-Ducky Derby Kick-Off event! 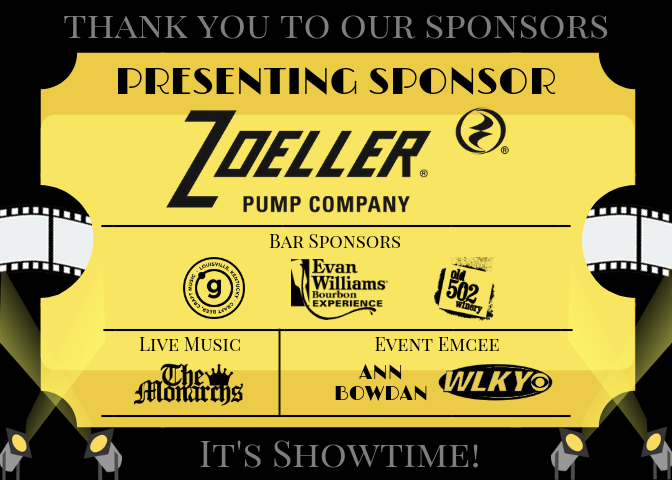 JOIN US at the infamous Seelbach Hotel for dinner, drinks (OPEN BAR), dancing, live music, wine spin, bourbon pull, photo booth, and a silent auction! 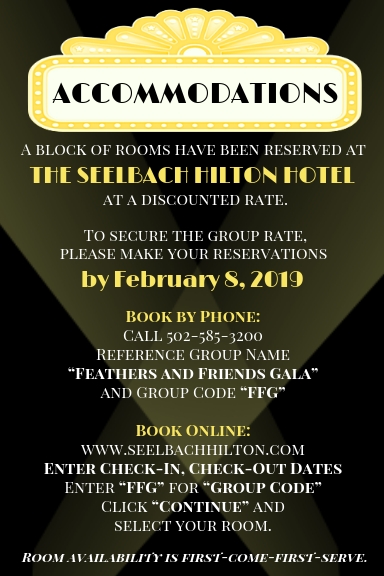 This year, Feathers & Friends is Old Hollywood themed. Tickets include admission, plated dinner, OPEN BAR, and fun! Tickets have SOLD OUT three years in a row!! This charity fundraising event is hosted by Harbor House of Louisville, benefiting adults with physical and cognitive disabilities and traumatic brain injuries. Proceeds from this event go towards helping us provide resources and special programs to our participants. Some of our programs include job training, educational/tutoring classes, cooking classes, gardening, life skills, social skills, community integration, technology classes, arts and humanities, music, dance, and more! Harbor House is a local, non-profit day program and training facility for individuals with disabilities. In the state of Kentucky, when individuals with disabilities turn 21, they lose most, if not all, of their services and resources from the school system. They are left with no place to go, no sense of purpose, and no quality of life. They often sit at home while their caregivers work, spending their days in front of a TV. Harbor House was created to change this. Harbor House helps these individuals find employment, get out in the community, learn life skills, and make friends. It is a safe, loving, judgement-free space, for those with disabilities to feel accepted and lead a fulfilled and productive life. The best part about Harbor House, is that everyone here is SO HAPPY! Disneyland likes to say they are the happiest place on earth... but that's only because they have never been to Harbor House.